Nestled picturesquely at the foot of the Dachstein, with a beautiful view, the Simonyhütte is located 2,203m above sea level, amidst the impressive mountains of the Dachstein plateau. As the morning sun appears, glowing red over the mountain tops, it's the moment that counts. The one with the most beautiful views. Located for 135 years at 2,203m above sea level, the Simonyhütte counts as one of the most beautiful hiking destinations in the UNESCO World Heritage region of Hallstatt Dachstein Salzkammergut. The comfortable cabin of the Austrian Alpine Club, named after the famous geographer and Alpine researcher Friedrich Simony (1813 - 1896) is open all week from May to October. After many rebuilds in its long history, today the Simonyhütte has both rooms and dormitories. However, those who wish to experience the morning colours of the rising sun in high season, are advised to register in advance. 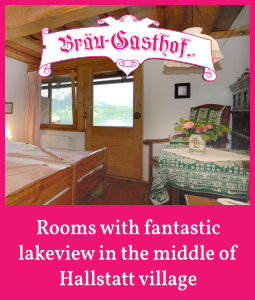 Hikers, from all over the world love the cosily furnished mountain hut at the foot of the Dachstein glacier. 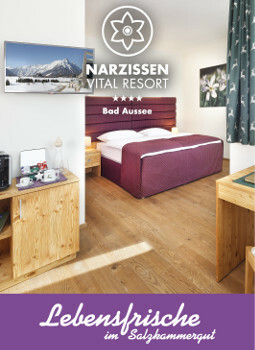 Not just as the destination of many mountain hikes, but more importantly as base for the ascent of the Dachstein. From here are also many more hiking opportunities such as to Adamekhütte, the High Gjaidstein, High Ochsenkogel and Schöberl. Additionally, the little ice lake, about a 20 minute walk from the cabin, is a worthy detour. When the night comes to an end and the first rays of the new day are about to appear, the lodge host brews the first early morning coffee and the aroma of freshly grounded beans can be smelt - then it's time to turn back over and sleep until the rich Alpine hut breakfast is ready. Or you just get out of the cosy warm sleeping bag, squeeze into your trousers, pull on your shirt, lace up your hiking boots and grab your camera. Now the time has come for the perfect start into the new hiking day. 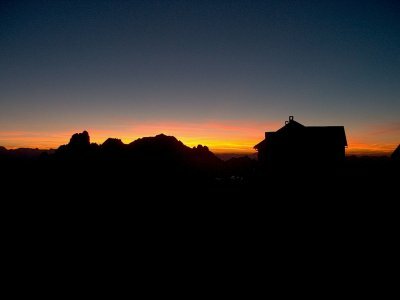 Because in front of the Simony Hut, at the foot of the Dachstein, a first class sunrise awaits you. An unforgettable experience when the warm sun rays immerse the mountain peaks of the Dachstein in the warm light of the early morning. Whoever starts so an atmospheric day, has also deserved an extensive breakfast : A rich buffet with fresh coffee, cold meat specialties, fruit spreads , cereals and delicious farmer´s bread as perfect start into the new day. A nourishing breakfast, a breathtaking view over the Dachstein plateau and thousands of impressions , this is how the new hiking day invites you on to a hiking tour, right through a unique feast for the eyes : The Dachstein hiking world in the UNESCO World Heritage region of Hallstatt Dachstein Salzkammergut . 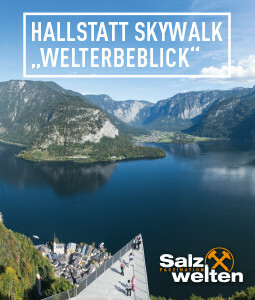 Admittedly, the landscape of the UNESCO World Heritage region of Hallstatt Dachstein Salzkammergut is the absolute pinnacle for hiking fans, mountain enthusiasts and nature lovers—unforgettable tours to incredibly beautiful mountain lodges and meadows, panorama views as far as the eye can see and cherished moments that will last a lifetime! However, you should remember that while hiking you might find yourself in high-alpine terrain. We’ve put together some resources to assist you: how to best prepare for your tour, recommended items for your backpack and steps to take in an emergency situation. Remember to always play it safe and enjoy your hiking adventure in the Salzkammergut! 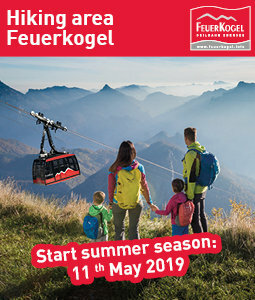 To save you unnecessary searching on various websites, we have summarised all relevant information about this tour for you below: contact details, opening times, travel times of cable cars, links to public transport and much more. 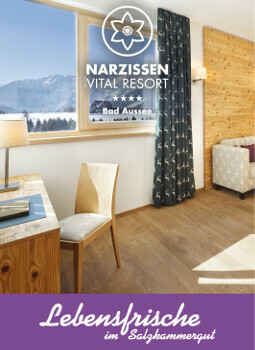 In this way, you get all the information at a glance and have more time to enjoy the breathtaking mountains of the Salzkammergut. Accommodation: open from May to October for hikers. 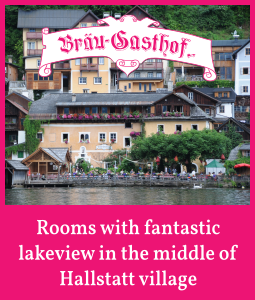 Detailed information on accommodation, opening times and prices can be found on the homepage of Simony in the UNESCO World Heritage region of Hallstatt Dachstein Salzkammergut. 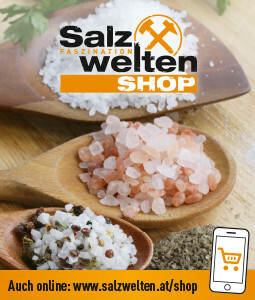 The best tips for tour preparation, equipment and emergency situations while hiking in the UNESCO World Heritage Region of Hallstatt Dachstein Salzkammergut at a glance. Remember to play it safe! you can obtain the needed help under the number 112.